I made this page, endeavouring to do my own version of the Finnibair blog link from Marion. Some things worked, some didn't, but it's been a great learning experience for me. Wow, the chip pieces look amazing, great work Kathy! Love the colours. 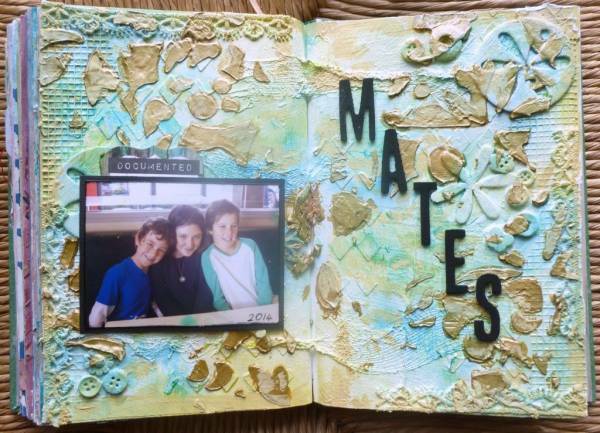 Just love the mixed media background!